The beauty of mobile wedding hair and makeup is that most artists are happy to travel. So if you’re having a destination wedding, you won’t be limited to the few hair and makeup options available in Hamilton Island, Byron Bay, or wherever else you’re saying your vows. The hair and makeup artists at TWIDALE often travel across Australia and overseas for our beautiful brides. Because mobile wedding hair and makeup artists come to you, there won’t be any running around between separate hair and makeup appointments. Nor will there be effort travelling between the salon, to home, to the ceremony trying to keep your hair and makeup intact. A great hair and makeup artist will liaise with you to organise the optimal time to have your hair and makeup done. 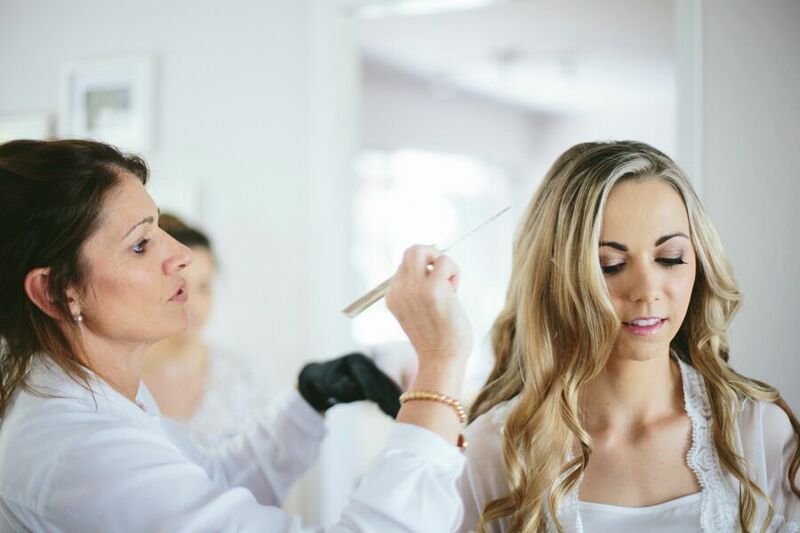 And they’ll give you a checklist of dos and don’ts beforehand (like not washing your hair the day of the wedding, or straightening it prior to your appointment) to make sure you’re looking your best. This one is without a doubt the most important reason to choose your wedding hair and makeup wisely. You absolutely need to enjoy your wedding day. Having a mobile hair and makeup artist who travels to you will eliminate a great deal of stress on the day. We’d also highly recommend scheduling in a trial run to get your look down pat ahead of time. And beyond having a hair and makeup artist you can trust to make sure things run smoothly, it’s also important to find one you get along well with – someone who will add to the enjoyment of the day instead of detracting from it. Your wedding prep should be nothing but fun, excitement and laughter. Read more testimonials from our lovely clients and brides. The TWIDALE team will travel across Australia and overseas to provide mobile wedding hair and makeup for your special day. But we ask that you book your appointment well in advance if travel is required. To find out about the availability of our artists, get in touch with our team.